Fentanyl powder seized by a sheriff. It costs Jess Tilley $1 to purchase a fentanyl test strip—a small sum, until you consider that she&apos;s buying them by the hundreds. Since the fall of 2016, Tilley has been paying for these strips out of pocket and distributing them for free to drug users in western Massachusetts. It&apos;s a costly exercise, but it fits in perfectly with Tilley&apos;s mission as the founder of the New England User&apos;s Union: "We wanted to come together to advocate for all drug users." Tilley says it&apos;s the stories that make it all worthwhile. Here&apos;s one example, told to her by a young man who found that his heroin tested positive for fentanyl—an opioid painkiller, far more powerful and deadly than morphine or heroin, that&apos;s been a driver of fatal overdoses in the United States. After realizing he had fentanyl on his hands, the man spent two hours looking for someone to stay with him while he shot up, so that they could call for help in case he overdosed. After finding a friend, the man did his drugs. He promptly overdosed. His companion had naloxone, the opioid overdose-reversing medicine, on him, so he administered it for Tilley&apos;s client. "He saved his life," says Tilley, a former injection-drug user herself. "That&apos;s one overdose death saved." Fentanyl test strips are a bit like an extra-sophisticated version of the pH strips you may remember from high school chemistry. They&apos;re long, skinny, one-time-use devices. To test a sample of drugs, users dissolve some of their drugs in water, dip the strip in, and wait for blue lines to appear to indicate positive or negative. 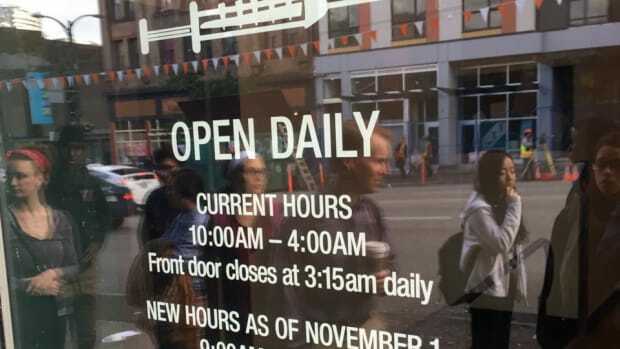 A drug-users&apos; clinic in Vancouver, British Columbia, pioneered the strips&apos; use in 2016. 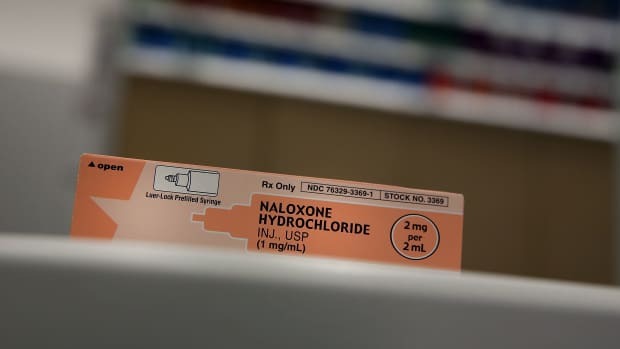 Since then, they&apos;ve increasingly become a component of overdose prevention strategy in clinics in the U.S. But their use has always been a bit provisional. 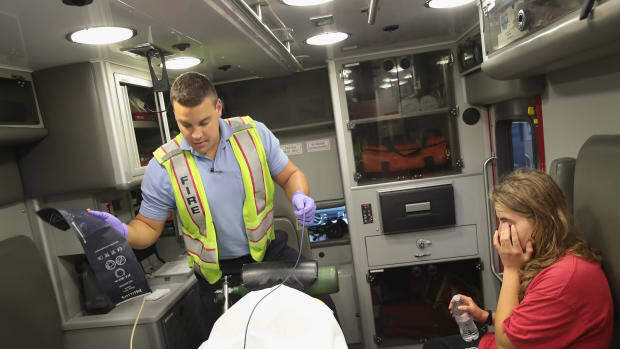 The devices, made by a Canadian company called BTNX Inc., are designed for hospitals and law enforcement to check urine to see if someone has consumed fentanyl, not for users to test fresh drugs. No one was sure how accurate the strips were when used on street drugs, nor had anyone systematically studied whether knowing their test results made people safer. If they got a positive, did they take extra precautions? Did they avoid using altogether? Or, if they saw a negative result, did they use recklessly? Now, two new studies answer these questions—with encouraging results—setting the stage for the strips&apos; further spread. THE INSTANT TEST THAT CAN TELL WHETHER USERS&apos; DRUGS ARE CUT WITH A DEADLY CHEMICAL: Vancouver has begun offering users instant test strips to verify whether their illegal drugs contain fentanyl. 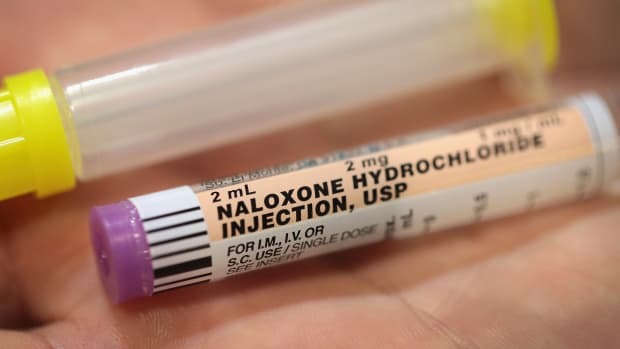 "It does encourage me to want to test the strips in other ways, like distributing them in the community and seeing how they work," says Mark Lysyshyn, a medical health officer for Vancouver Coastal Health who has been studying how people use the strips in Vancouver&apos;s two supervised injection facilities. Unlike Tilley, Lysyshyn has not distributed the strips publicly, out of worry about their uncertain accuracy. Users have to come into supervised injection sites, where there are staff trained to reverse overdoses. "The numbers are giving me faith in what I&apos;m doing," Tilley says. 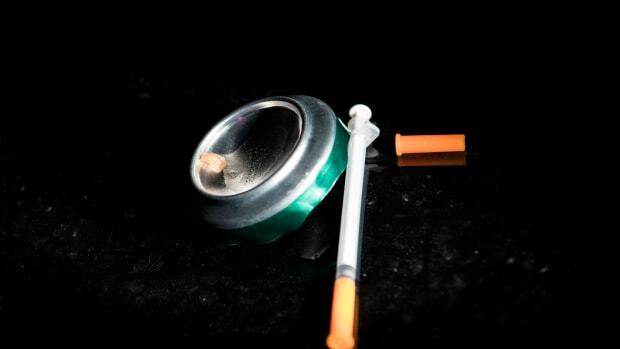 Work from Johns Hopkins University, published last week, suggests the strips also detect two so-called analogs of fentanyl, which are chemically similar—also dangerous, but not exactly the same as fentanyl. Fentanyl and its analogs are cheap to produce in illicit labs, so, in recent years, drug traffickers have been mixing the compounds into other drugs, including heroin, cocaine, crystal meth, and counterfeit pills, often without notifying street dealers. Drug users are always at risk for overdosing and dying, of course, but fentanyl, which is often consumed without the user&apos;s knowledge, adds another degree of potency and, in turn, risk. Fentanyl and fentanyl-like chemicals are now the top cause of deadly overdoses in the U.S., according to government data. In 2016 alone, synthetic opioids like fentanyl killed more than 20,000 Americans. Heroin killed more than 15,000; prescription opioids, more than 14,000; and cocaine, nearly 11,000. Eighty-four percent of users in Baltimore, Boston, and Providence, Rhode Island, told Johns Hopkins researchers they were worried about fentanyl in their drugs, although 26 percent said they preferred it. Research now shows the strips can help. 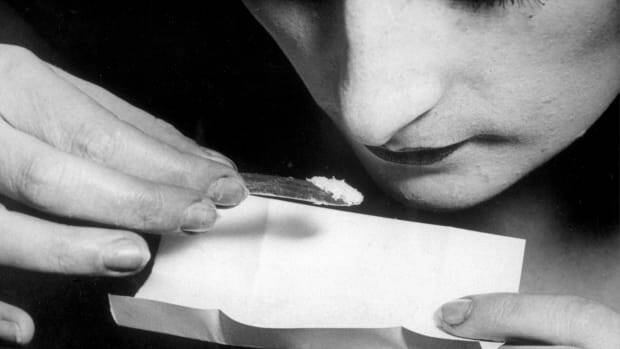 The Johns Hopkins study, which is the first to rigorously test the strips&apos; accuracy in street drugs, found that they successfully detected when drugs had fentanyl or one of two analogs in them, 96 to 100 percent of the time. The strips also correctly showed when drugs didn&apos;t contain fentanyl or the tested analogs, 90 to 98 percent of the time. They spotted fentanyl at far lower concentrations than two other drug-testing devices that drug-users&apos; clinics are considering. At a conference in May of 2017, Lysyshyn presented preliminary data showing that when clients at a clinic called Insite tested their drugs and got a positive result, they used less, which was associated with less overdosing. Insite clients also reported using their test results to warn friends and inexperienced users—who don&apos;t have a built-up opioid tolerance—that a batch of drugs contained fentanyl. HOW KENTUCKY IS LEADING THE WAY IN ADDICTION CARE FOR PREGNANT WOMEN: An innovative, new program housed at the University of Kentucky provides both prenatal and addiction care to mothers with substance use disorders. Fentanyl test strips aren&apos;t perfect, nor are they a complete solution to fentanyl overdoses. Many of the people Lysyshyn works with in Vancouver just don&apos;t test their drugs, even when the option is there. Notably, none of the research this story discusses has yet appeared in a peer-reviewed journal; their authors presented their results early to help other service organizations. Finally, there are countless fentanyl analogs, and nobody knows how many the strips miss. (BTNX told Pacific Standard that the strips have been shown in their lab tests, conducted on pure samples of fentanyl analogs dissolved in a buffer solution, to detect 10 analogs.) A negative result isn&apos;t a green light for safety. Service organizations that give the strips out try to talk about using drugs more cautiously no matter what the strip says, including habits such as using only half of what you would normally, injecting slowly, and having a buddy around. Having a physical device does seem to help. 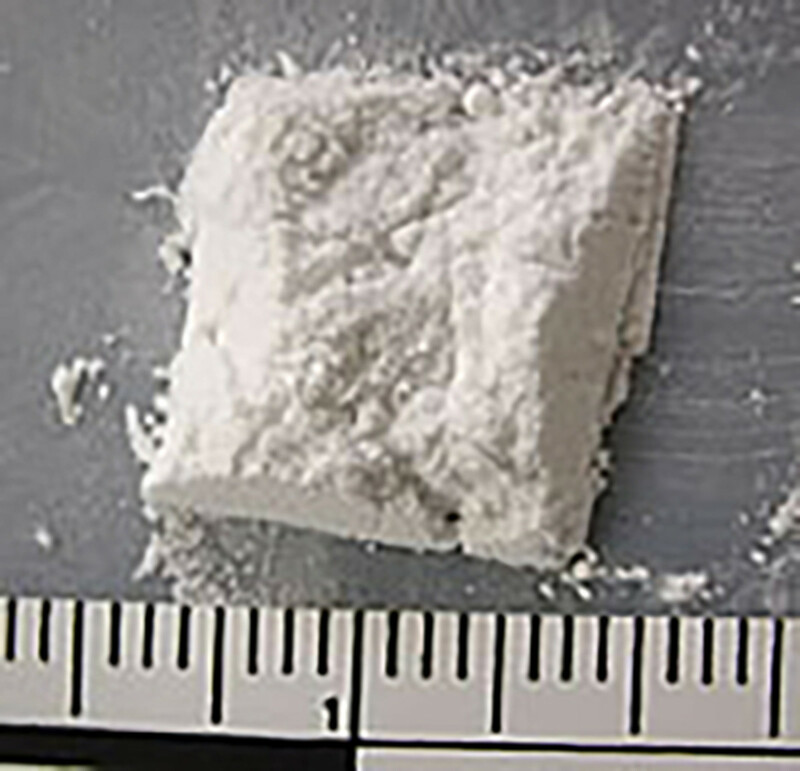 Users may dismiss as scare tactics messages from the media or law enforcement, who do sometimes put out notices if they find a hot batch of drugs. But people seem to trust the strips, says Daniel Raymond, deputy director for planning and policy at the Harm Reduction Coalition, which runs a large clinic in Oakland, California. "It&apos;s almost more of a symbolic moment," he says. "This test strip, as a device, makes tangible the fact that we&apos;re encouraging you to think more carefully about your drug supply and overdose risk." One man Tilley gave strips to put it more colorfully: "I always know I have this cooker full of death of in front of me, but having that line confirms it," he said. "It helps me make better decisions."